Maquon (population 318) is located in western Illinois in southwestern Knox County. Illinois Route 97 is the main road leading to and from town and leads right to Galesburg, Maquon's big neighbor located 15 miles to the northwest. The At & St Railroad also runs some tracks through Maquon. Maquon lays a great claim to fame in that it is the ONLY town in the entire world named Maquon. A great web site to learn more about the town of Maquon is found at: www.maquon.org . "A two story frame building was built in 1866 at a cost of $7,000. 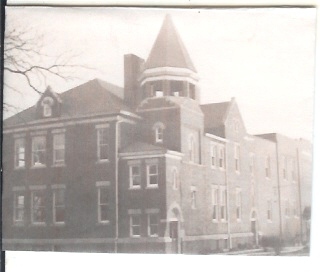 The frame school was built next to where the brick school you have pictured above was later built. 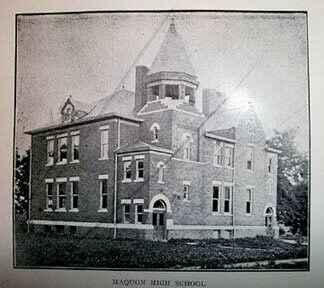 The first high school graduating class came out of Maquon in 1891. 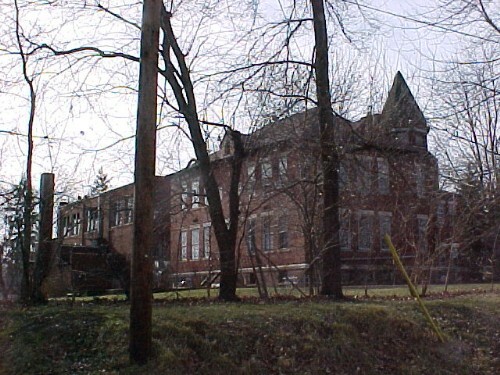 The brick school was built in 1903 and occupied in 1904. 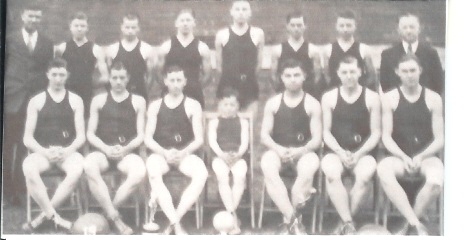 The gym was added to the brick school in 1934. This school is still standing. In July of 1948, Maquon petitioned to detach from Spoon River Valley into Knoxville, and the school year of 1948-1949 was spent as a part of the Knoxville School District. Later, irregularities in the petition were proven and Maquon reverted back to Spoon River Valley, where it had belonged all year. In September on 1949, reorganization began in earnest. Senior students were transported to the village af Fairview where they joined their peers from London Mills, Ellisville and Fairview in a strong, well-staffed high school. A Junior High School of grades 7, 8 and 9 was maintained in Maquon using the high school facilities. 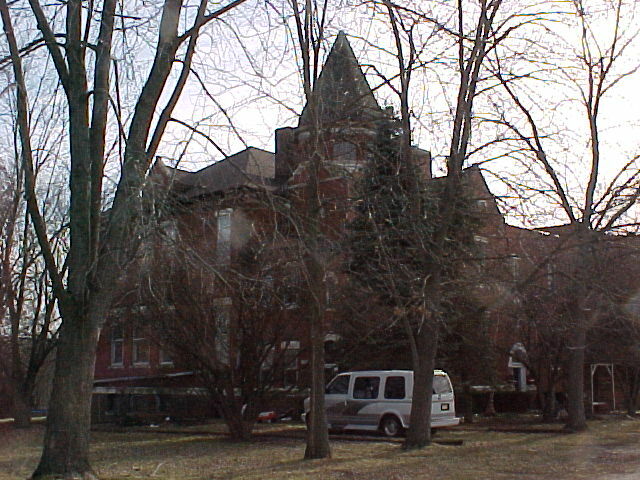 The grade and junior high schools stayed in each town until 1973 when the present Spoon River Valley High, Junior High and Grade School was built. At some point the basketball games were played in London Mills when the high school was in Fairview because I attended many games as a small child in London Mills. Henry Bennett was the coach at the time." 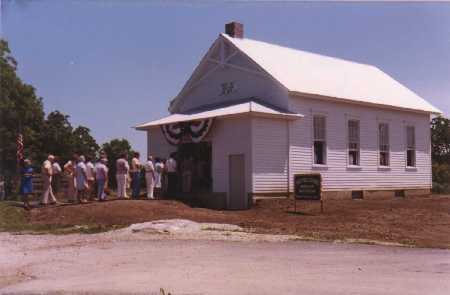 The building pictured below was built in 1882 and is one of the first schools (Fruit Hill School) built in the Maquon area. 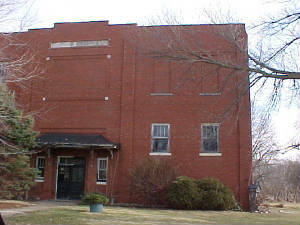 It currently houses a school / Indian artifact museum. Great job by the Maquon folks for recognizing and salvaging true history. Maquon High School definately offered boys basketball and probably offered boys baseball and track. The first year listed for sports for Spoon River Valley HS is boys football in 1949-50. This is the basis for our guess that Maquon HS closed in the very late 1940s. The boys basketball accomplishments as listed on the IHSA web site (www.IHSA.org) are listed below. The Maquon High School basketball boys brought home three District titles and one Regional title. Two great seasons listed include the 1940-41 and 1941-42 seasons in which back to back District titles were won. The boys of 1941-42 took it even farther making a trip to the Sectional by winning the school's only Regional title on top the District title. Unfortunately the coach's names and team records of these teams are not known. Some excellent research was conducted by Denis Shenaut. Congratulations to Denis for what is some fascinating information about Maquon HS basketball"
"In 1931-1932 the basketball team won the County Tournament in Knoxville, and the District at Elmwood (see photo below), players in no particular order: Bernard Cecil, Laverne Cowman, Dale Dalton, Philip Davis, John Leffingwell, Willard Norville, Harold Allen, Wayne Smith, Verne Finney, Cleo Scudder, Gerald Gooding and Gerald Moody. Don Strode as mascot, Lewis Wells (manager) and Charles M. Greeley (coach)) . In the district tournament the only score I have is the championship game in which they beat Peoria Central 33-19. The info I have states they beat East Peoria in the first game of the Sectional in Peoria 31-20 and lost to Wenona in overtime two nights later. I don't know if this was the championship game or not. There must not have been Regionals at this time because the info I have states the Sectional was played after the District tournament, but this may be incorrect. The Associated Press listed "Maquon as the third smallest school in the state to win District Cage Tournament". Charles M. Greeley coached this team. The team dressed at the school and ran two blocks to the "Opera House turned gymnasium". The team gym was stove-heated at the time. The record of this team 16-2. " Canton lost to Benton in Elite 8 game 23-21 in 2 O/Ts. Benton placed 3rd in IHSA State Tourney. 1937-38 Maquon hosted District Tourney Coach's name & record needed. Galesburg beat Knoxville in title game. 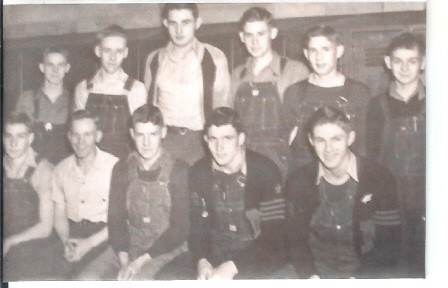 "In 1941-1942 the basketball team went 31-4 and won county, district and regional titles (see photo above, members in no particular order: Don Strode, Herbert Morse, William Mackenzie, Rolland Foster, Paul Haynes, Harold Dikeman, Giles Culver, Bill Hulet, Keith Morse, Kenneth Smith and Gene Foster. Coach Kenneth Elliott.) They also won the Tomahawk League and The Princeville Invitational Tournament. 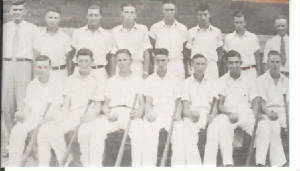 In 1940-1941 ,as stated on your website, they won the district and also the county tournament. I don't have any info on the 1940-1941 team except for that. I guess they were over shadowed by the 1941-42 team and it was probably mostly the same players, but I don't know. 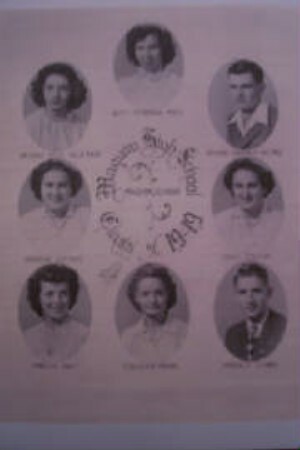 "In 1941-42 the enrollment was 65 students. The only scores I have for the 1941-1942 team are that they defeated Galesburg 24-17 and won games with Peoria Central and Peoria Manual. These games were probably played in the Regional or Sectional, but I don't know for sure. The info I have states they lost to East Peoria by two points in double overtime in the Sectional. I don't know if this was the championship game or not. This team was coached by Kenneth Elliott. I also found an interesting article that Tom Wilson of the Galesburg Register Mail wrote on 1-10-06 that stated Maquon played a basketball game on Feb. 11, 1942 in which the ref officiated the game from the balcony. "The "Ref In The Balcony" experiment was tried in Maquon during a game between the Maquon Indies and the London Mills Independents. This was the first time a local cage event featured a referee calling the game from overhead. Parry of Maquon did the whistle calling fom the balcony. Two young men hawked the floor from the sidelines for out-of-bounds infractions and tossed up the ball on jump balls. A field goal with 20 seconds remaning by D. Watkins gave London Mills a thrilling 34-33 victory. Eleven fouls were called on London Mills and eight were called on Maquon. No one fouled out. This idea came about from the coach at Southern Oregon College by the name of Ean Eberhart. On Jan. 31, 1942 Monmouth College played at Southern Oregan and it was tried." " Maquon Fans Enjoy Ride Home From Galesburg"
" Is it possible for a high school basketball team with no player over 5'10" and no one weighing more than 145 pounds to have a successful winning season? Could this area team lose consecutive early games to Oneida, Peoria Central, Corpus Christi and Chillicothe and still win 21 games? Could this tiny Knox County school with only a handful of boys to choose from follow up the feat by winning 31 games the following season? Could they actually knock off the Galesburg Silver Streaks in Steele Gym? The answer to all of the above is YES! The Cinderella story belongs to the Maquon High School basketball teams of 1941 and 1942. Coached by Ken Elliott, who took over the Maquon program after winning 129 games at LaFayette in the previous eight seasons, their success was what dreams are made of. After a roller coaster beginning during the 1940 pre-Christmas schedule, Maquon caught fire and won the prestigious Knox County Tourney, beating both Abingdon and Victoria. The Orangemen would win the district tournament and 15 of their last 17 games. The 1940-41 team was comprised of Don "Bub" Strode, Bill MacKenzie, Herb Morse, Paul Haynes, Rolland Foster, Harold Dikeman and Bob Van Fleet, who was the only senior. It seemed improbable, however, the best was to come during the 1941-42 season. Maquon won an incredible 31 games, recording one of the most notable basketball seasons ever by a Knox County school, small or large. Rollie, Bub, Paul, Herb, Dike, Bill, Keith, Harold, Giles, Gene and coach Elliott were names on the tongues of every basketball addict in the Galesburg area. The Orangemen won an astounding six trophies during the remarkable season, including championships in the Princeville Holiday Tourney, the Knox County Tourney, the Oneida District, the Galesburg Regional and the Tomahawk Conference. 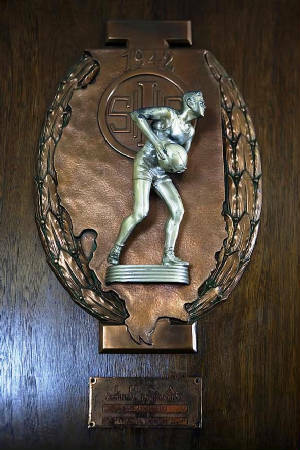 In March 1942, The Galesburg Register-Mail reported an aggressive, ambitious and smooth-functioning basketball quintet from tiny Maquon High School pulled one of the biggest upsets in local memory by outplaying and outclassing the Galesburg Silver Streaks at Steele Gym by a impressive 24-17 score. From the outset Maquon bewildered their larger opponents by controlling the ball, the rebounds and sinking their shots with uncanny accuracy. The end result threw about 500 Maquon residents into a gleeful frenzy, which knew no bounds. The ride back to Maquon from Galesburg had to be the ride of a lifetime. The Orangemen would defeat Athens in the Peoria Sectional, however, unfortunately the dream ended in a 46-40 loss to East Peoria. Keith Morse, Harold Dikeman, Giles Culver, Bill Hulet, Gene Foster, Rollie Foster, Bub Strode, Bill MacKenzie, Paul Haynes and Herb Morse banded together in 1942 to produce one of the most memorable basketball teams in local history. Tom Wilson is a local historian. Write to him at wilsont29@insightbb.com or at The Register-Mail, 140 S. Prairie St., Galesburg, IL 61401. (http://www.register-mail.com/stories/030706/WIL_B956OTFF.GID.shtml. **Final game for Maquon High School, consolidated to London Mills Spoon River Valley High School in the summer of 1948. This is not a "typo". Several small schools competed in boys softball, probably fast-pitch, a very popular game among men in small towns in earlier years, Maquon High was one of these schools. In fact the boys of Maquon played it so well thast they were crowned County Champs in 1931! See photo to your right, Row 1: Kenneth Martin, Bernard Cecil, Gerald Gooding, Harold Allen, Dale Dalton, Laverne Cowman, Warren Stevens. Row 2: Coach Lewis Wells, Cleo Scudder, Philip Davis, Wayne Smith, John Leffingwell, Hal Buckingham, Verne Finney, Coach Charles Greeley)!. 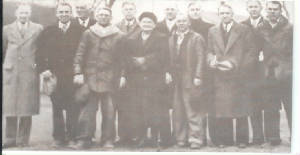 Row 1: Charles Greeley (teacher), John Polhemus, Simon Anell, Fannie Donaldson, Alva Cramer, Hal Morgan, Haskell Sulteen (mayor). EXCELLENT RESEARCH BY DENIS SHENAUT! !